SEVEN WALL ARTS is dedicated to the production of quality yet affordable art. Those seeking something delightfully different will not be disappointed-- we offer a variety of unique and creative pieces to bring any space to life. Choices range from affordable prints to quality handmade oil paintings. Both prints and paintings are on canvas stretched over a wooden frame. Our paintings can be an excellent gift for a friend or loved one, the perfect finishing touch in a contemporary room, or the splash of color your home or office needs. 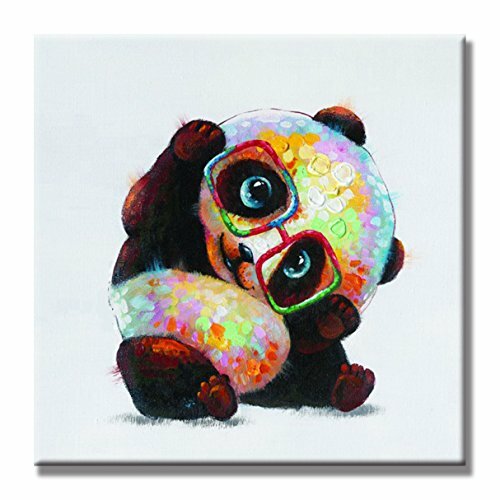 Stretched and Framed canvas art for home decorations wall decor. Each panel has a black hook already mounted on the wooden bar for easy hanging out of box. A perfect Christmas and New Year gifts for your relatives and friends，and good ideal for living room, bedroom, kitchen, office, Hotel, dining room, office, bar décor etc. 100% Satisfaction Guarantee. If any questions, please email us first time for the service satisfactions updating. If you have any questions about this product by SEVEN WALL ARTS, contact us by completing and submitting the form below. If you are looking for a specif part number, please include it with your message.